Economic development as practiced today has three dubious characteristics. It focuses on nonlocal business. It lacks a coherent framework for assisting local business. And it is a top-down enterprise. There is an alternative set of principles and practices—a “local living economies” (LLE) approach to economic development that focuses on local business, creates an entrepreneurial ecosystem that supports them, and invites grassroots participation. 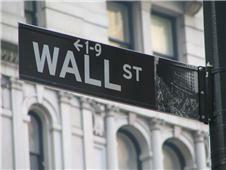 Starting in 1970s, the objective of most economic developers became to attract or retain global businesses. Indeed, one of the most common phrases in the professional literature, even today, is “to attract and retain.” What this formulation misses is locally owned businesses. A locally owned business cannot, by definition, be attracted. And most locally owned businesses, because they have deep relationships to a community through its managers, employees, owners, customers, suppliers and other stakeholders, usually do not require special efforts to retain them. The focus on “attraction and retention” suggests that economic developers have increasingly focused on global big business. Rule #1: Maximize the percentage of jobs in your local economy that exist in businesses that are locally-owned. Rule #3: Prioritize spreading and replicating local business models with outstanding labor and environmental practices. An alternative framework for economic development can be created around six P’s: planning, people, purse, purchasing, partners and public policy. · Planning – The starting place for LLE economic development should be community planning. What are the most plausible opportunities for new or expanded local businesses given your vision, your goals, your assets and your markets? · People – Realization of local business opportunities requires entrepreneurs and employees who can lead new or expanded local firms. How can people already living in the community be mobilized for these roles? 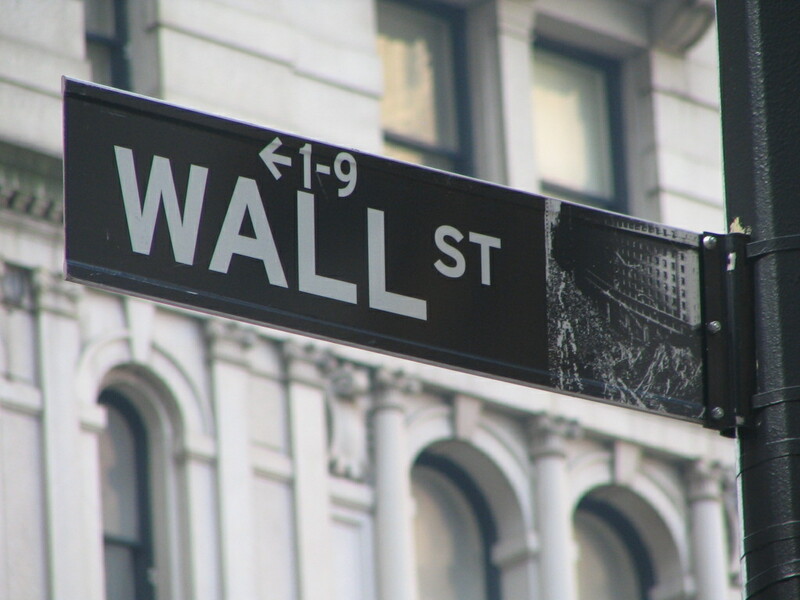 · Purse – Most local businesses, whether startups or expansions, require both lending and equity capital. How can existing financial resources, whether savings accounts or pension funds, be tapped to support local businesses? · Purchasing – Once established, local businesses flourish with concerted Buy Local efforts by consumers, businesses and government agencies. What are the best strategies for promoting these efforts? · Partners – Local businesses can improve their competitiveness by working together as partners, either in a local business alliance or as part of a sector-specific network in food, energy or finance. · Public Policy – Laws, regulations and rules at all levels of government —local, state, national and global — should be calibrated to maximize the probability of local businesses succeeding. Michael Shuman will be elaborating on these concepts in his two day course, Locanomics, as part of the SFU CED program. Hundreds of activists, including a CCEC member, join First Nations elders to bear witness to environmental destruction in Fort McMurray. Christina Wild, CCEC member for over 25 years, attended this years' Healing Walk. She believes that the risk to our basic human rights are too great to continue the destruction caused by our demand for petroleum products. but we can live without oil and must develop alternative power sources. She encourages fellow members to reduce their use of oil products to help slow the overall demand. MetamorFest is September 20. Join CCEC member, Carolyn Bell, in celebration of the harvest and the Mt. Pleasant community. Carolyn is helping in many capacities to organize the event. She is also a member of the East Broadway Art Walk committee and was on the mural jury for MPNHouse. Save the Date! It's going to be fun! MetamorFest is an all age event with music and arts. Mingle and meet your neighbours as we celebrate the end of summer. Centred on the Neighbourhood House with one or more streets blocked off, listen to live bands, watch local talent representing the community’s ethnic diversity, games for the kids, eat and more! This is a day to bring the kids, granny, friends, neighbours, relatives and more importantly - you. Ding Free Van To Visit CCEC! July 31 the van with a fully operational ATM is scheduled to visit CCEC! Beginning Monday, July 29 the ding free sea to sea road trip will kick off in Victoria, BC and make it's way across Canada throughout the month of August, wrapping up in Halifax in early September. The road trip will follow two seasoned improv comedians on a quest to share surcharge-free ATM banking with the masses; revealing some of Canada’s strangest roadside attractions and a host of colourful characters along the way. 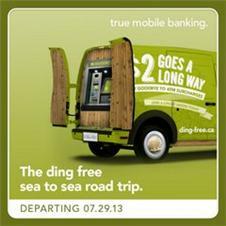 Spearheaded by an alliance of Canadian credit unions, the road trip is the latest stunt in our year-long campaign to raise awareness of the thousands of ding free ATMs available to credit union members across the country. Our goal: to spare even more people from the millions of dollars lost to ATM surcharge fees each year. Armed with their wits and a camera crew, our comedic duo will travel from Victoria to Halifax over the course of 32 days. They will be chronicling their exploits through a series of online videos and social media content. Canadians can follow the team at www.ding-free.ca, as well as via Facebook, Twitter, Youtube, Instagram and at various locations along the way. 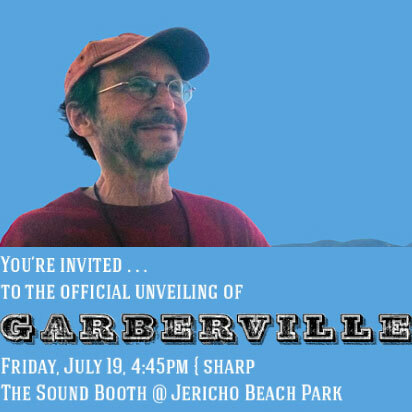 will be naming the Mainstage Sound Booth "Garberville" in honour of Simon Garber, who manned the board from the early 1980s until last year. Si had hoped to make it to the inauguration of Garberville but sadly passed away from liver cancer in May 2013. There will be a short tribute and unveiling at 4:45 pm on Friday, July 19, 2013, just before the start of the Mainstage Performance. Those attending will need to purchase a ticket to the Friday Evening Concert. 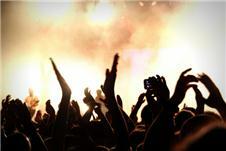 Entrance to the Friday evening concert will be $50 at the Gate or $45 before 9 pm on Thursday, July 18. Go to http://thefestival.bc.ca/ticket-information/ for more information. We hope you can attend the unveiling, enjoy the Friday evening concert and support the Vancouver Folk Music Festival which was near and dear to Simon's heart even to his last days. Crowd Sourcing Opportunity in BC? BC may provide locals with a new way to fund novel social initiatives. An article in the online mag SOCIAL identifies BC as unique in North America insofar as securities legislation requirements. While further research is likely needed, the evolution of crowd sourcing as a base for social innovation almost certainly will generate some great projects. Recent European research confirms an implicit strength of the credit union, or co-op, ownership model for a financial services intermediary. In essence, the basic saving and loan paradigm of a credit union insulates credit unions from many of the larger risks that have gripped large banks. Credit unions do not speculate in aggregated 'financial' risks. Consumer ownership, as opposed to investor ownership, has proven to be less fickle, and committed to local needs. For a good overview check out this article at thenews.coop, or you can read the paper, Resilience in a downturn, The power of financial cooperatives.